HALIFAX, Dec. 12 /CNW/ – A broad-based coalition of organizations in Nova Scotia has come together to convince municipalities and school boards that the sale and provision of bottled water in their facilities is a very ‘un-green’ and ‘un-economical’ thing to be doing. 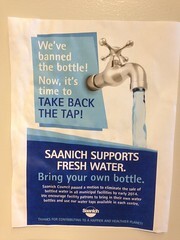 To launch the ‘Campaign to Turn on the Tap and Ditch the Bottle’, the coalition is sending out a package of information to every municipal government in the province this week, outlining the reasons for getting rid of bottled water. “If these municipal leaders are really committed to working on our environmental footprint, they need to start by acknowledging that the public water they provide – and that taxpayers pay for – is just as good and, in fact, better, cheaper and more environmentally friendly than bottled water,” says the Ecology Action Centre’s Jocelyne Rankin. “It makes absolutely no sense that the same governments that are providing citizens with safe, clean drinking water, would also be selling or providing bottled water in their own facilities,” says Rankin. With the provincial government currently developing a water resource management strategy, the coalition believes the MacDonald government has a vital role to play on this issue as well. 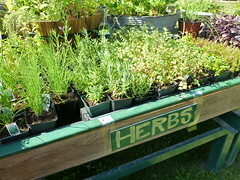 The group will be making presentations to municipalities in Nova Scotia over the coming weeks and hopes to have some of them come on board by World Water Day, which takes place on March 22, 2009. Angela Giles of The Council of Canadians says, “Bottled water can cost as much as 10,000 times that of public water. Corporations are raking in huge profits for their shareholders from bottled water, not to mention the environmental cost of making all those bottles. “The bottled water industry requires massive amounts of fossil fuels to manufacture, transport and dispose of bottled water. This is doing nothing to help combat climate change,” she says. “Other communities and governments are banning bottled water, including Charlottetown and St. John’s, and we can take a lead role in this province. 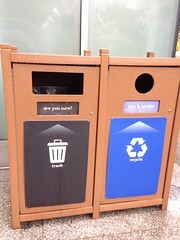 Nova Scotia is seen as a world leader with recycling and composting. It’s time for us to do the same with bottled water,” says Giles. The coalition is made up of the following organizations: Ecology Action Centre, CUPE Nova Scotia, The Council of Canadians, KAIROS Halifax, Polaris Institute, Canadian Federation of Students – Nova Scotia, Nova Scotia Environmental Network, Oxfam Canada: Maritimes.